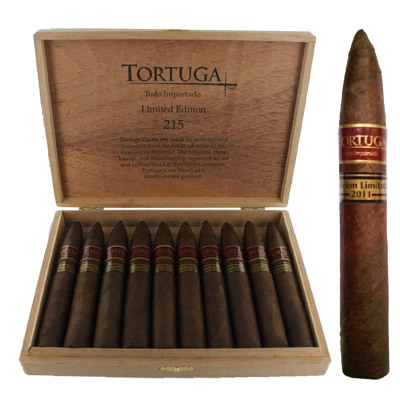 The legacy of a family-owned product, Tortuga cigars are made by unsurpassed torcedors from the finest tobaccos of Central America and Dominican Republic. 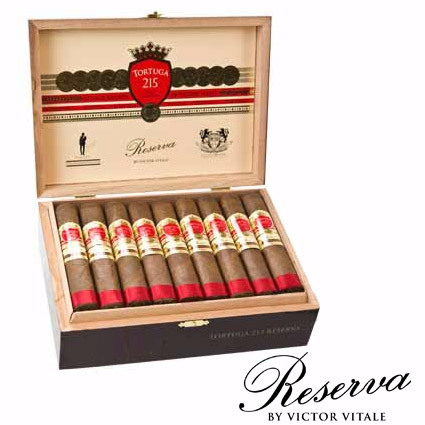 The tobaccos, cigar blends, and craftsmanship represent an art and culture that has thrived for centuries. 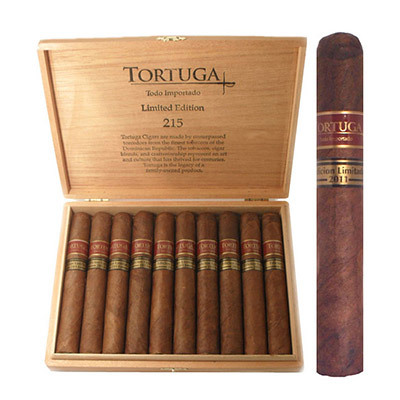 In fact, these cigars are packed cedar boxes from Spain, to give it that extra aged, spicy taste. 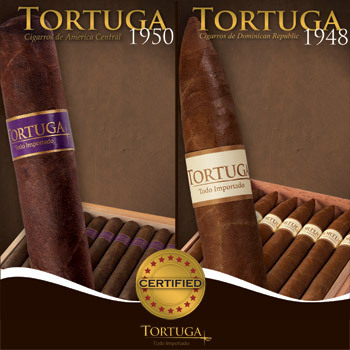 Between the 1948 Connecticut Shade Smooth - Smooth and Creamy variety or the 1950 Natural Aged Maduro - Full Strength; you can't go wrong. 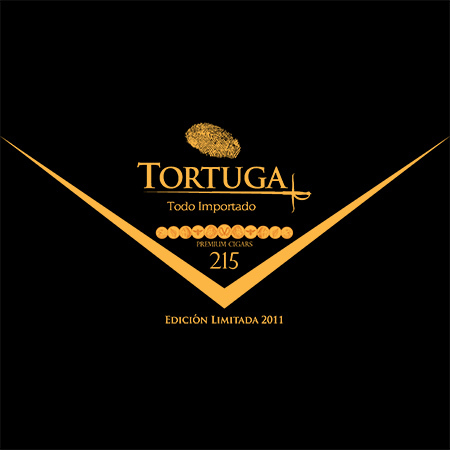 Tortuga 215 Edicion Limitada 2011 - it is a full-bodied and well balanced cigar. 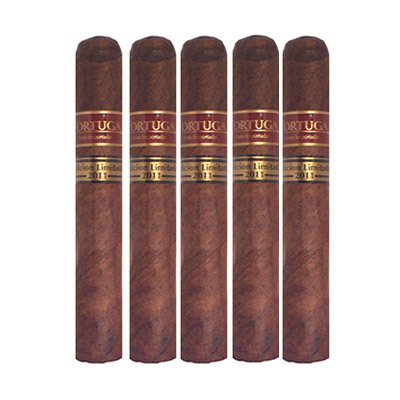 It features subtle hints of anise, black cherry oak, blackberry, and dark chocolate. 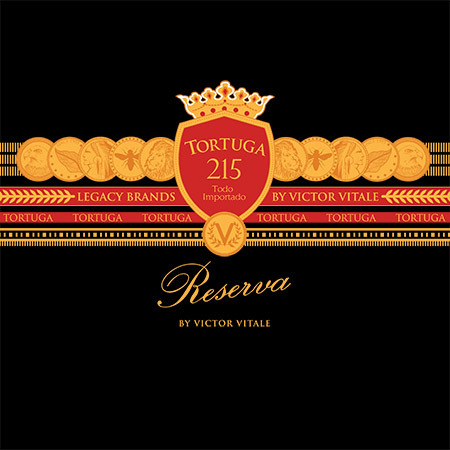 Tortuga 215 Reserva by Victor Vitale - is the Reserva of all Reserve's. 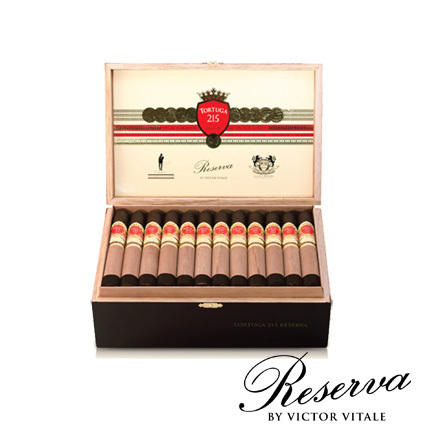 A Nicaraguan Puro that is as smooth as dark chocolate ganache drizzled with sweet raspberry bliss.